By the luck of the draw, Chris and Greg got seated next to one another. 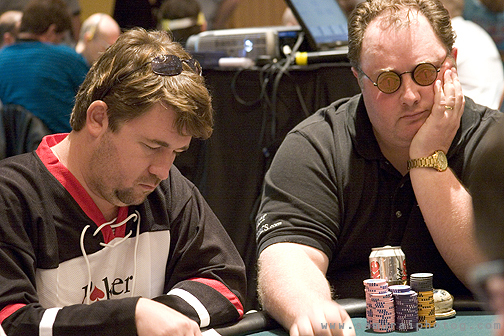 It was fun watching these two WSOP champions play against one another. This photograph appeared in the March 2005 issue of Inside Edge, page 101.